Thickened inter- and intralobular septa, honeycombing with maximum changes subpleurally. 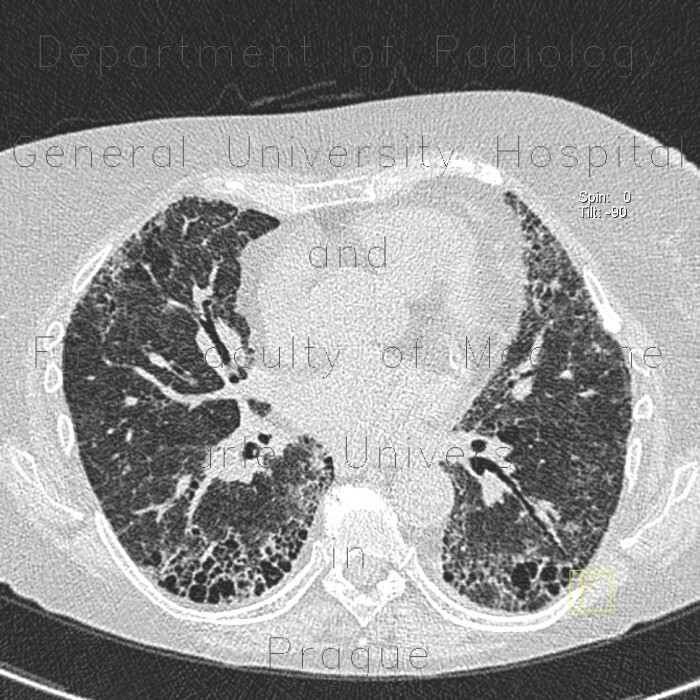 Traction bronchiectasias. Dilated pulmonary artery as a sign of pulmonary hypertension.